In the spring of 2016, the LSU Museum of Art unveiled the reinstallation of its permanent collection. The museum has devoted over 6,000 square feet to the finest examples of its collection of Louisiana fine and decorative arts from the 1700s to the present. Many works that have not been on display in over a decade are showcased in the reinstallation. A new education space provides children and families a place to explore the ideas presented in the galleries. Five guest curators offer five views into the strengths of the museum’s collections. Together, these windows into the collection provide an overview of Art in Louisiana, as the reinstallation’s title suggests. Claudia Kheel provides an introduction to the history, culture, and art of Louisiana with examples of paintings and furniture from the 18th century to the present day. Charles C. Cage, in-house specialist on Silver and Books, Documents & Manuscripts at New Orleans Auction Galleries, brings life to the Museum’s collection of silver made in New Orleans and beyond. William Keyse Rudolph, Andrew W. Mellon Chief Curator and The Marie and Hugh Halff Curator of American Art at the San Antonio Museum of Art, places 19th- and 20th-century Louisiana landscapes and portraiture in a global context. 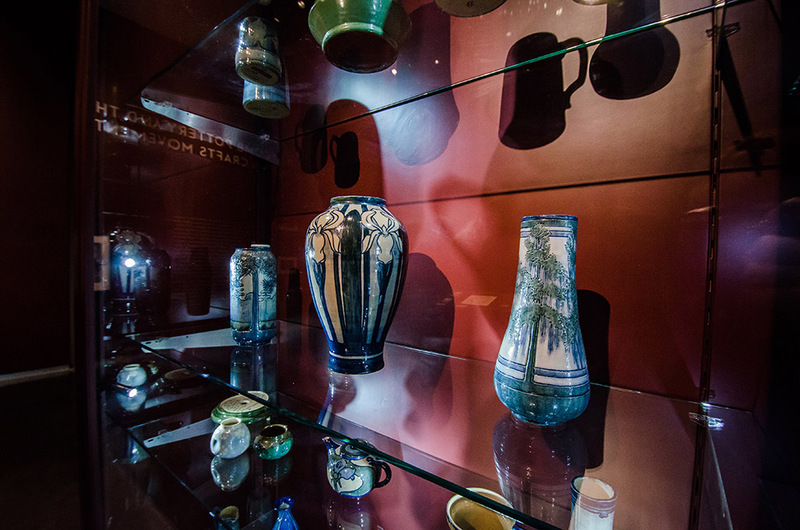 Sally Main, curator emerita of the Newcomb Art Gallery, tells the story of arts and crafts at Newcomb College and Newcomb Pottery’s place in the national and international Arts and Crafts movement. Sarah Anita Clunis, Assistant Professor of Art History Arts of Africa and the African Diaspora at Xavier University, connects art by LSU faculty and modern and contemporary Louisiana artists with the major artistic movements of the 20th and 21st centuries. Free admission all day for First Free Sunday; family-friendly art activity on creating your own paint. Free admission all day for First Free Sunday; family-friendly art activity inspire by Mary Cassatt 2-4 pm. Free admission all day. Families will have the opportunity to participate in self-guided activities in the Pennington Family Foundation Education Gallery. Free admission all day. Families will have the opportunity to participate in a landscape activity in the Pennington Family Foundation Education Gallery. Meet your fellow Contemporaries with a visit to the home studio of LSU professor emeritus Ed Pramuk. Free admission all day, with fun activities geared for children of all ages in the LSU Museum of Art's Pennington Family Foundation Education Gallery. Today, tea drinking status symbols generally consist of Starbucks to-go cups, but in early nineteenth century America wealth was conveyed by spending money on a variety of table items which were each used for one very specific purpose, such as cup plates. We reinstalled our permanent collection a little over a year ago. Since then, we’ve been listening to feedback from visitors about what artwork they want to see and the stories they think the art should tell. 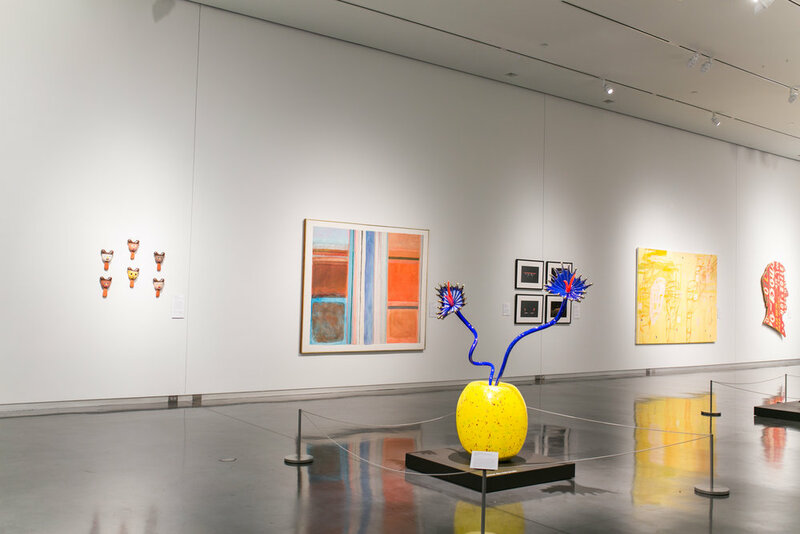 “Bayou Moderne,” the modern and contemporary section of Art in Louisiana, has recently been updated to shift some of your favorites while adding recent acquisitions and never before exhibited works. The LSU Museum of Art has two works in its collection by Baton Rouge artist and teacher Emerson Bell that feature Prophet West, a local religious leader known for baptizing followers in the Mississippi River, passing in front of Baton Rouge downtown buildings that were sites of Civil Rights protests. In honor of Women's History Month, several members of the LSU MOA staff provided some insight into their favorite pieces on display and/or in the permanent collection made by female artists. The Daily Reveille's Rachel Rathle talks with curator Courtney Taylor. The Advocate's Robin Miller takes a look at the 21 sketches on display through January 31. Learn how you can participate in making the permanent collection increasingly relevant to and representative of the museum's audience. The sketches, currently on display through the end of January in the Gill Hamilton gallery, illustrate Albrizio's two-year design process.